“An extraordinary group of musicians hammered out an intoxicating rhythm from saxophones, trumpets and all manner of percussive instruments. " "Their real class lies in streamlining a gaggle of individually superb musicians into an army as cohesive as bands a tenth of their monstrous size. They set about the task of enthusing an audience … with joyful nonchalance, moulding multiple drums, horns, live vocals and strings into a precise mix of rock, Latin shimmer and thunderous drum and bass." "I hadn’t prepared myself for the ‘wow’ factor of the scaled up posse at The Blind Tiger. The band themselves are just enormous, I took a couple of snapshots of the whole band and I was VERY glad that I had brought my wide angle lens." "An irresistible, huge, pink and blue music-making amoeba that never stops moving and passes on its own good vibes to anyone who cares to listen. Any recording might not capture what they're like live, but they were as much fun when not performing as they were when tearing it up playing live." 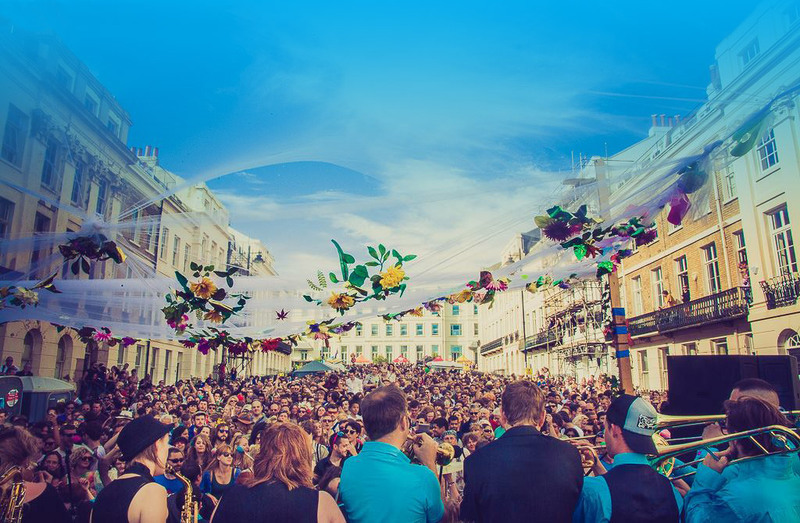 "Carnival Collective deserve praise for drawing in the crowds and making the earth move with their foot-stomping, invigorating beats – they sent us soaring into the dizzy heights of Sunday night." "Walking onto the main stage, Carnival Collective kick off, bringing with them some brightly coloured, high energy fun. Everyone is beginning to move and shake off those Sunday blues. The band will prove perfect for the festival circuit. Lovebox and Secret Garden Party agree." 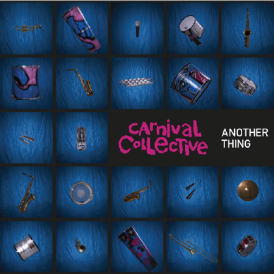 Celebrating its 20th Anniversary, Carnival Collective has evolved into a genre bending live band that blows audiences away wherever it plays. With a line up that can swell from 18 to 30+ musicians, it delivers an irresistible tidal wave of energetic music. 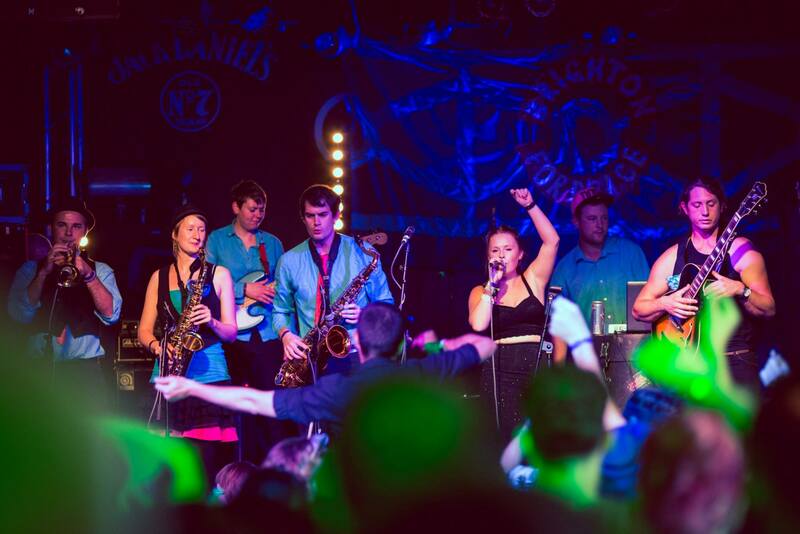 Sometimes described as a 21st Century Big Band, the CC sounds range from live drum and bass, reggae and jungle to cumbia and swing. CC’s repertoire has come from the musical passions of its members and most of the band’s songs are original compositions, played on a vast bateria of Brazilian drums, with a fat horn section and dirty bass-lines, topped with sharp lyrics and beautiful vocal harmonies. 2014, also marks the launch of ANOTHER THING, the band’s first studio album.